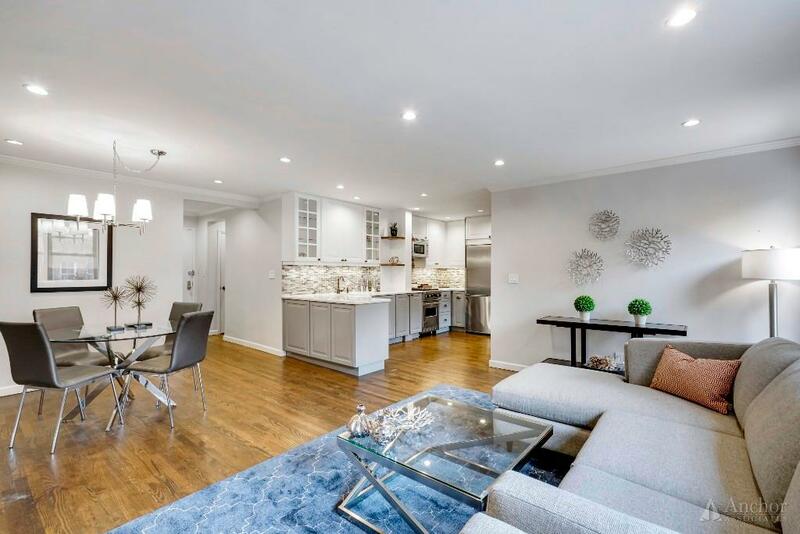 This incredible two bedroom/two bathroom apartment offers a huge space and top of the line finishes in one of New York City's most desired neighborhoods! Walk in through the entry foyer straight into a huge open space with high ceilings and plenty of east facing natural light. The real newly refinished dark stained hardwood floors throughout create a rustic vibe that will immediately make you feel right at home. 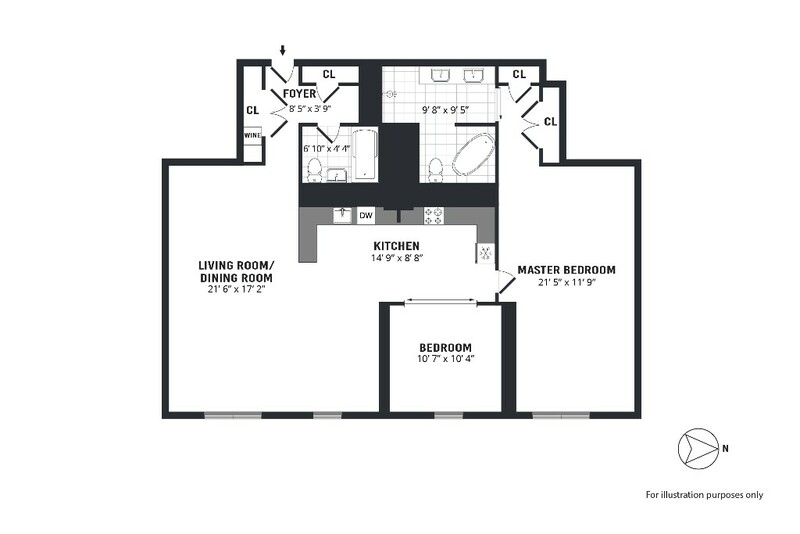 The living space is completely open and consists of an extra wide living room with additional dining area and a state of the art open kitchen with an open island area. 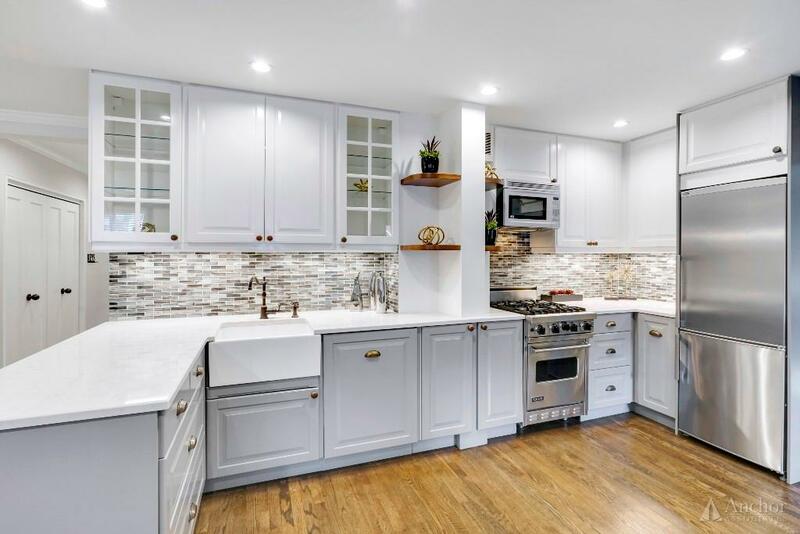 This dream kitchen offers white glass cabinets with stylish gold handles, farmhouse sink, and Caeserstone Quartz counter tops. Keep your veggies super fresh in your stainless steel refrigerator, cook gourmet dinners in your brand new Viking stove and let the dishes be washed in your beautiful integrated dishwasher. Don't forget to add fresh cool wine from your new wine cooler, comfortably placed in the over-sized closet in your entrance foyer. 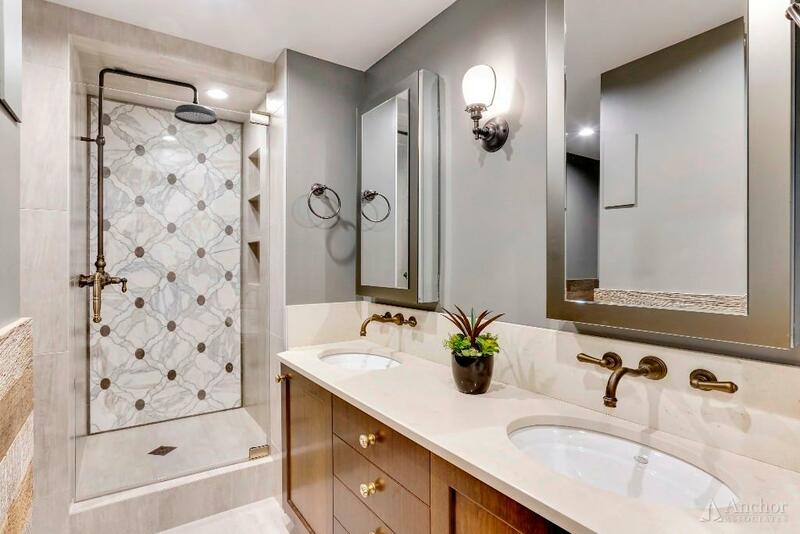 On the other side of the kitchen you'll find the door to your master bedroom, featuring two built in closets, and an En Suite bathroom with a true master double sink, a luxurious X-Large shower with a glass door and a unique copper soaking tub. 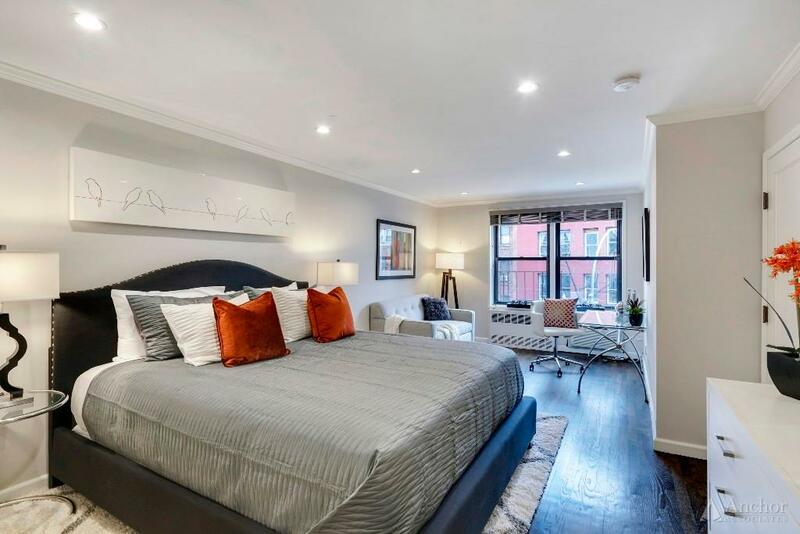 This huge master bedroom offers an exceptional amount of space, allowing a king bed with two night stands, a seating area with a sofa, coffee table and home office area. The second bedroom can easily fit a queen bed with a night stand, as well as a desk or a dresser. This room has sliding doors, allowing even more space. 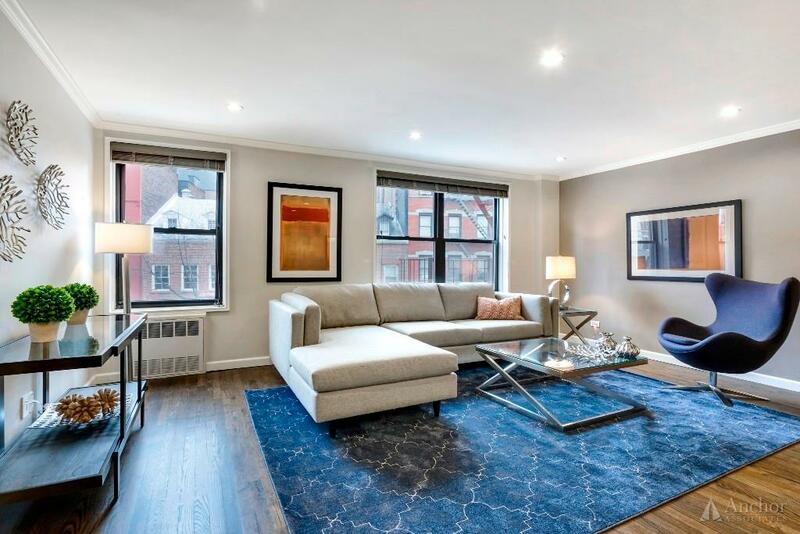 This spectacular apartment is located on the third floor of a Doorman/Elevator building. You'll feel extremely taken care of by the friendly and attentive staff. 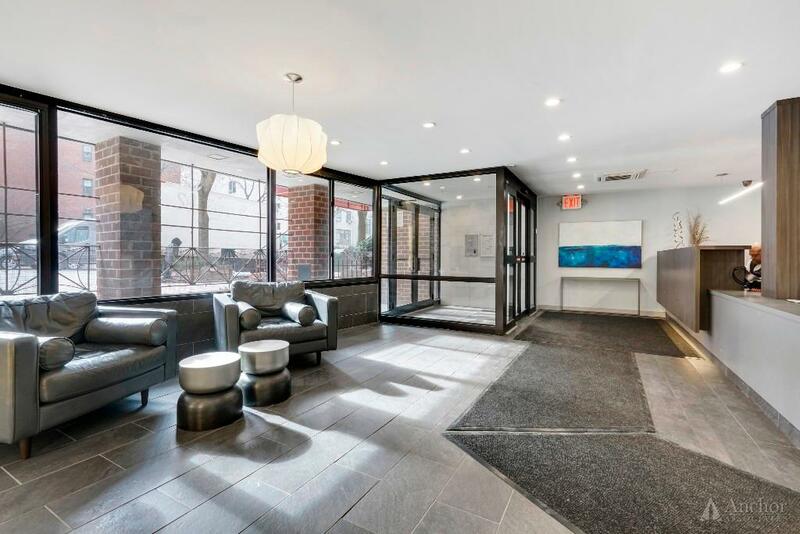 Pick up your packages from the concierge, have your guests wait in a welcoming seating area in the lobby, breath some fresh air in the common courtyard and enjoy the on-site laundry room! 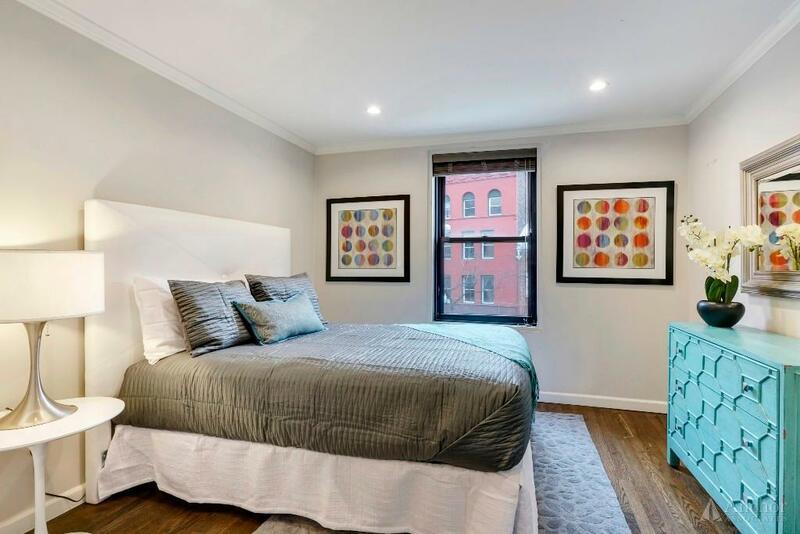 The building is located on the corner of Christopher Street and Washington Street, a quiet block within walking distance from award winning restaurants, cafes, bars, grocery stores and shopping areas. This is the beating heart of New York City, with an easy commute to all other neighborhoods using the 1, A, B, C, D subway lines, just a few blocks away. The co-op allows for co-purchasing, guarantors, parents buying, pied-a-terres and gifting are all OK! The building also has parking spaces, storage and bike storage available on wait list. It is also on Wells Fargo's approved building list for financing and the coop allows for 80% financing. With it's magnificent finishes, massive space and outstanding location, 3K is a place you'll be proud to call home!